University Pre – Degree Studies [PDS] Programme, which shall commence in October, 2018.
admission into the 100 Level Degree Programmes of Lagos State University. as well as comply with the University Screening Test as may be prescribed. expected to pass all the relevant deficient subjects. (61%), 180-199(14%) and others (35%) respectively. 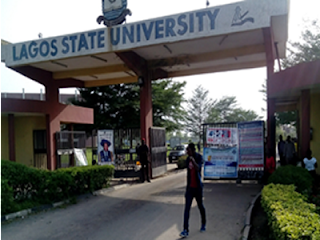 (N15,000:00) only for the 2018/2019 LASU Pre – Degree Studies. 2018/2019 Calendar Year will be announced later. from the one above, does so, to his/her own disadvantage. accommodated at the Epe Campus of the Lagos State University.